At Graceworks we are setting up a number of different compost systems. In the picture you can see the wormery that we have recently built. A wormery is an easy-to-use, efficient construction to house the worms and the plant food so that they can convert organic kitchen waste into a bio-rich, high quality compost and concentrated liquid feed, taking advantage of their natural ability to digest relatively large quantities of organic waste. Typically, a wormery is an enclosed unit with several separate, but linked, compartments containing live worms together with the organic waste you supply, and a mixture of processed compost in varying stages of decomposition. Usually the uppermost compartment is topped with a simple, degradable blanket to retain the warmth and it should be kept moist. This can be fibre matting, old fibre carpet under felt (not the latex type), old towels, newspapers or similar. The enclosure is completed with a lid perforated with tiny breather holes. 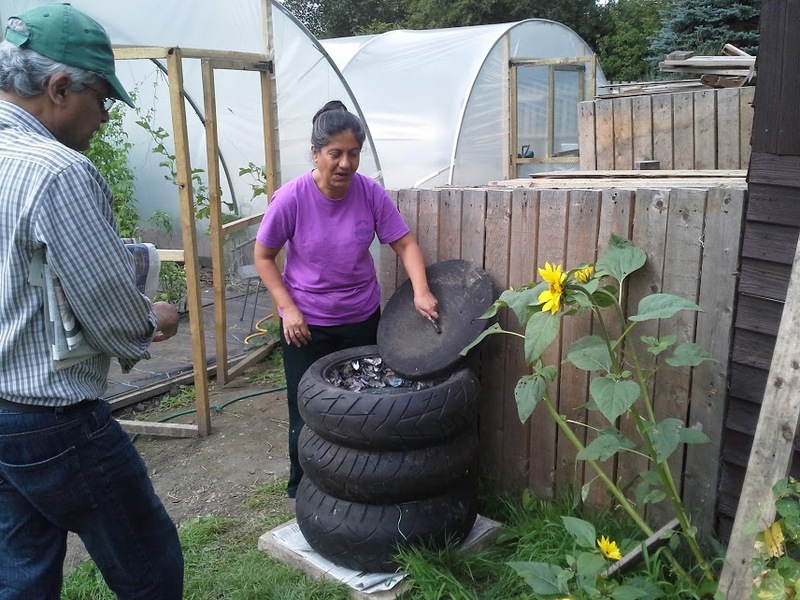 There are several different types of wormery on the market, including indoor types but you can make our own out of some old car tyres like we did.